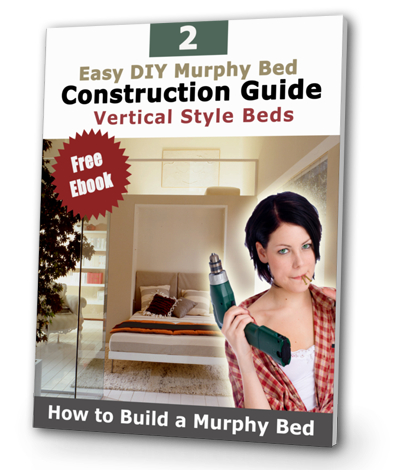 Thank you for signing up to receive your free copy of the “Easy DIY Murphy Bed Construction Guide”. In a few minutes you will receive an email from us with a link where you can download your own copy of our guide. If you don’t see the email from us in your email inbox please check your spam folder. While you wait for our email why not check out what some of our customers are saying! Just to let you know, my Murphy bed came out great. Great package with cut sheets and assembly instructions. Excellent product and well worth the money. Wishing you the best! You know, ordinarily I wouldn't give much thought or consider responding to a company's greetings. I usually get them from my bank and insurance company. But, somehow, yours was unexpected and knowing you're a small business means a bit more. You provide a well-made, well-packaged product and include great instructions. That's the kind of service I'd aspire to provide if it was my own. So, thank you for the great product and also for your thoughtful greeting.....much appreciated. Thank you for your prompt and careful attention to address our problem of ordering the wrong bed pistons. We would defiantly recommend your company to other friends who also want to build a Murphy bed. It’s so nice e to deal with professional people in this complicated world. We appreciate you!